Sony brings its TV streaming service to "one of the most highly requested devices by our fans." It looks like Apple’s new TV strategy is moving along nicely. This week, Sony announced that it was bringing its TV streaming service, PlayStation Vue, to Apple TV (4th generation). PlayStation Vue is also compatible with the Apple TV’s Siri Remote, but unfortunately the service won’t be integrated into the forthcoming TV app for discovery content across tvOS apps. 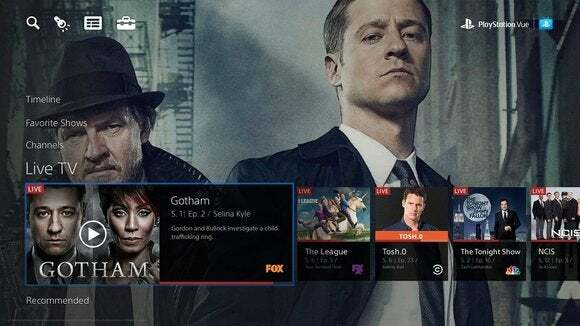 PlayStation Vue lets viewers subscribe to smaller-sized TV packages, or mini-bundles, as well as add-on premium channels like HBO and live sports. You can stream from up to five devices at a time, and enjoy the perks of cloud DVR. 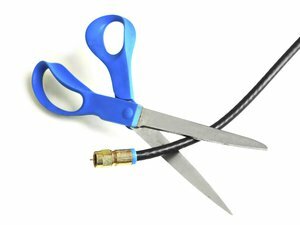 The service starts at $30 or $40 a month depending on whether broadcast channels are available in your area. If you’re a current PS Vue subscriber, you can link your Apple TV device and start streaming immediately. New subscribers can’t join in-app, however, and will have to sign up online. This was probably done by Sony so that it didn’t have to cough up the 30 percent commission Apple charges from all in-app subscriptions. But maybe that will change in the near future as Apple prepares to lower its cut to 15 percent. That might convince Sony to let Apple TV owners subscribe to PS Vue directly, as well as integrate its streaming service into Apple’s new TV app (which is the reason why Apple is lowering its cut in the first place). If you own a fourth-generation Apple TV, you can now sign up to PlayStation Vue online even if you don’t own a PS3 or PS4 console. Currently, PS Vue is also available for iOS, Android, Android TV, Amazon Fire TV, Roku, and Chromecast. Why this matters: It wasn’t long ago that we were expecting Apple to unveil a Vue-like TV service of its own. But now, it looks like we won’t be tuning in to a Cupertino-wrangled service anytime soon. 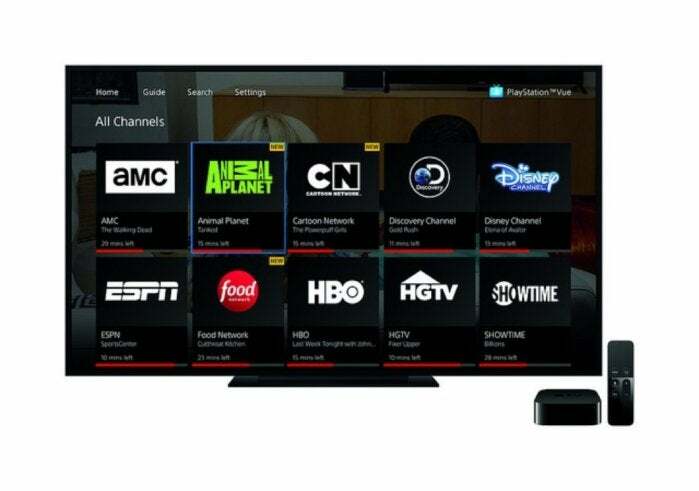 Instead, bringing PlayStation Vue to the Apple TV falls in line with Apple’s new strategy when it comes to television—offering a best-in-class streaming box that works with all the other streaming services. Earlier this year, Apple welcomed Sling TV’s mini-bundles to Apple TV. Sling TV’s offerings are very similar to PS Vue, except it offers fewer channels at a lower price.